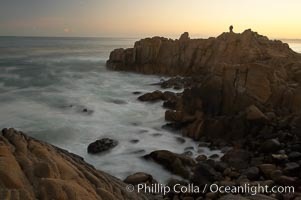 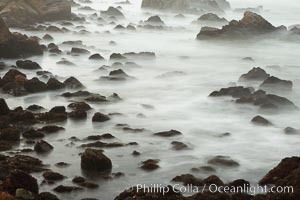 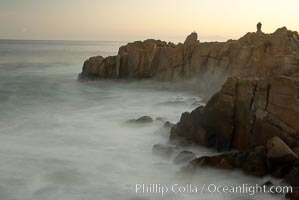 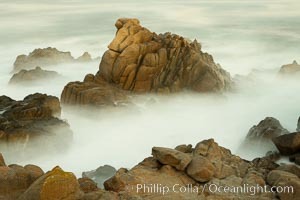 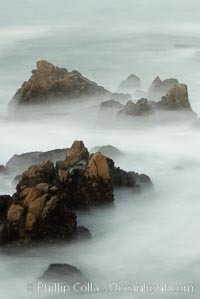 Waves breaking over rocks appear as a foggy mist in this time exposure. 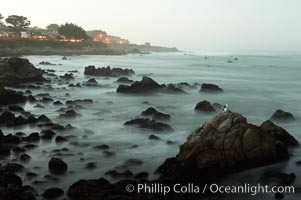 Pacific Grove. 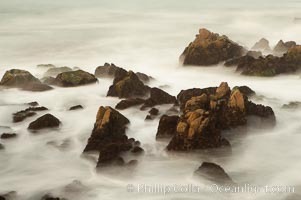 Lovers Point, Pacific Grove. 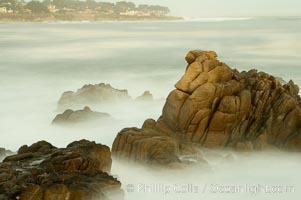 A couple admires the sunrise atop Lovers Point in Pacific Grove. 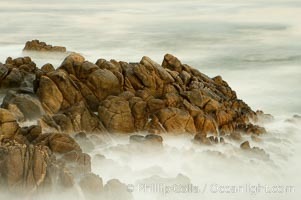 Waves breaking over rocks appear as a foggy mist in this time exposure. 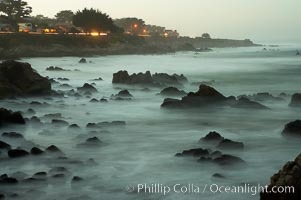 Pacific Grove. 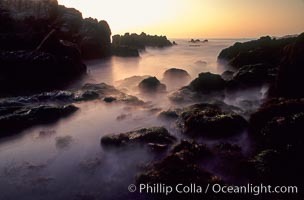 Sunset, tidepools and blurry water and mist.